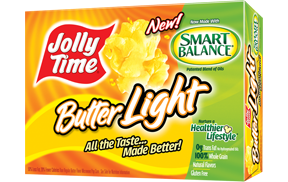 I'm a big popcorn fan so I was happy to try out JOLLY Time Smart Balance popcorn. I tried regular and light. Light only has 25 calories for a cup popped. "When used as part of a Smart Balance Food Plan - which recommends a diet with no more than 30% of calories from total fat, no more than 10% of calories from saturated fat, and low cholesterol - this blend can support healthy cholesterol levels already within the normal range." I would definitely buy this brand for my family. I love that it has no hydrogenated or partially hydrogenated oils...we don't need that. This is a great snacking alternative. 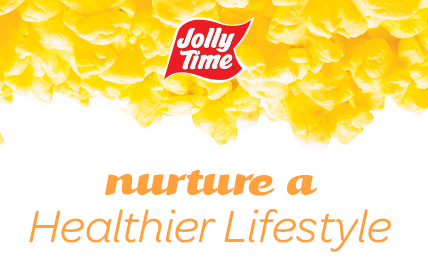 Nurture a Healthier Lifestyle Campaign: Like JOLLY TIME's Facebook page and enter each week for a chance to win a prize pack or one of 75 FREE coupons! This weeks prize is a year long subscription to Netflix!! Gotta love popcorn for movie nights!!! My family loves popcorn. I'd love to try the Jolly Time Healthy Balance. We love popcorn! Jolly time is a favorite. I think that popcorn is the best thing ever invented! I love popcorn and I love free popcorn even better! Popcorn is a must have at our house. Popcorn is a great snack! Popcorn is definitely my favorite summer snack! Popcorn is one of my favorite foods! Love popcorn :) thanks for the POPportunity! Popcorn is always a favorite snack in my home! We all love it. Jolly time makes wonderful popcorn and it is a great low calorie snack to have on hand when watching movies or grandchildren are over and are hungry for snacks. 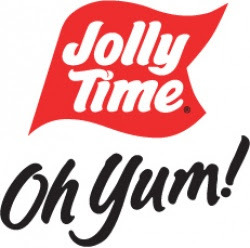 Jollytime is my favorite brand! Hope you have a great 4th. We have never tried Jolly Time. We Love popcorn. My kids like trying new things.